Can cars compensate for the crazy world we drive through? In the average day, most of us deal with commutes, calls, texts, emails, navigation, social media, in car climate, plus auditory inputs and selections – much of this occurring while we drive through a world increasingly full of traffic, distracted or drunk drivers, construction, blocked routes, incessant delays – and that’s all without mentioning spouses or kids. It has the potential for more drama than a telenovela on Telemundo. That’s an awful lot to juggle at times, especially for a driver who may experience five or more such inputs at a critical time – like approaching a stoplight about to turn or merging onto a fast-moving freeway. As automakers add more and more telematics, connectivity and apps into cars they are well aware the human mind can successfully juggle so many wildcats before some of them starting dropping to the ground. If you’ve tried juggling bobtails, it doesn’t make them especially happy, and the last thing you need is one of these furry food processors landing on its feet right in front of you. In other words, a mortal controlling a ton or so of hurtling metal, starts playing with fire buy trying to cope with too many of important inputs at the same time. According to the NHTSA, paying attention to the wrong thing at the wrong time – otherwise known as distracted driving – is the main cause for 20 to 30 percent of collisions. 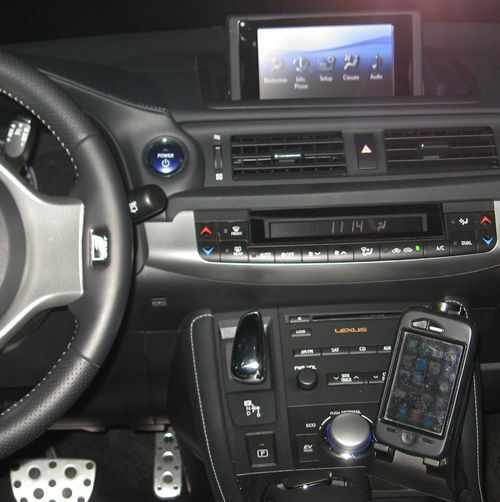 According to a post by Paul Stenquist in the New York Times, while automakers have been rushing to get GPS displays, Internet radio, e-mail and even Facebook apps into cars, they realize at times the driver needs to focus on driving and thus are pursuing a means of identifying drivers nearing the point of dysfunction. In such cases, a hierarchy of importance would help to focus driver attention where needed. Only safety and alertness data would come through, while phone calls, text messages and stock updates would be muted, directing the drivers focus to the task at hand. It is both fitting and ironic that a study of driver workload management was orchestrated by same folks who helped to create the situation – the automakers themselves. Stenquist refers to the Yerkes-Dodson Law, a theory from the early 20th century that plots workload and performance on a bell curve. We recall seeing a TV news report saying only 2 percent of the populace really possesses the capacity to multitask well. The rest who think they can, actually perform all the things they believe they can do at the same time, much worse than if they focused on only one at a time. What the theory says is that humans are most functional along a bell curve, and just like in school classes, if you ‘re not engaged, you perform as poorly as when overwhelmed – the sweet spot lies right in the middle. At the same time as the new infotainment features were developed, automakers also focused on health monitoring of drivers, so the car will know if you’re about to have a stroke or heart attack – allowing the car to notify emergency assistance – and presumably prevent you from killing yourself or others. Such technology can also detect stress through breathing patterns and heart rate. If the car of the future sees you becoming stressed, it will realign priorities until you have the situation in hand and stress indicators have lowered once more. This tech can also be used to detect stress, instilling a similar realignment of priorities within the car’s mind. This will first lead to semi-autonomous cars, like BWM demonstrated to a Road and Track Journalist in 2011. The cars will take over if the driver is somehow incapacitated. Of course the next step will be the autonomous car, something Google recently announced should be an emerging reality by 2025. That's not very far away, but it ultimately will allow people to converse, chat, text, watch movies, check your stocks or even get yourself to treatment – if your right arm is hanging numb and your left one is clutching your chest. The more or less healthy will be able to imbibe to and from the party, concert, ballgame or whatever. Those involved with other substances will be able to indulge at will, but don’t be surprised if you break a law, the so-called autonomous car will take you straight to the nearest precinct. When all cars are autonomous they won’t really be self-guiding – the same computers that control traffic lights today will control all of them, to optimize speed and traffic flow. Which leads to the question, if the car isn’t driving itself, who or what is driving it? Science may be mankind’s Big Brother – but really. it’s probably just mankind’s President Snow.